*Base MSRP of a new and unregistered 2019 Arteon 2.0L 4MOTION AWD Execline with automatic transmission is $49,847, including $1,725 freight and PDI, $6.25 AMVIC fee, $4/tire recycling levy and $100 a/c levy. License, insurance, registration, any dealer or other charges, options and other applicable taxes are extra. Dealer may sell for less. 2019 Arteon 2.0L 4MOTION AWD as shown is $50,342with optional Kurkurma yellow. Dealer may sell for less. Dealer order/trade may be necessary. 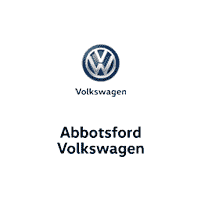 Visit vw.ca or Northland Volkswagen for details. "Volkswagen", the Volkswagen logo and "Arteon" are registered trade-marks of Volkswagen AG. © 2018 Volkswagen Canada.